"My son, Chris, turned 18 on Nov. 6 and will be joining the military. 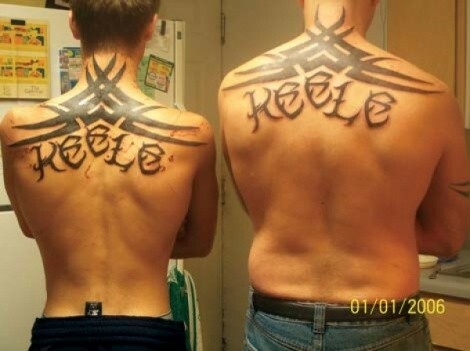 We wanted matching tats, so we chose a tribal design and incorporated our last name into it. Also, my wife, Chelle, was thrown into the mix to help commemorate Chris' birthday. 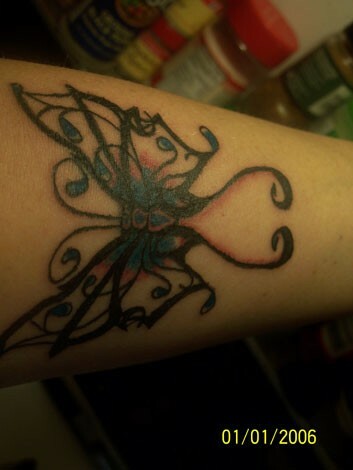 She was tattooed 10 hours later."